Gluten-free but still craving donuts? 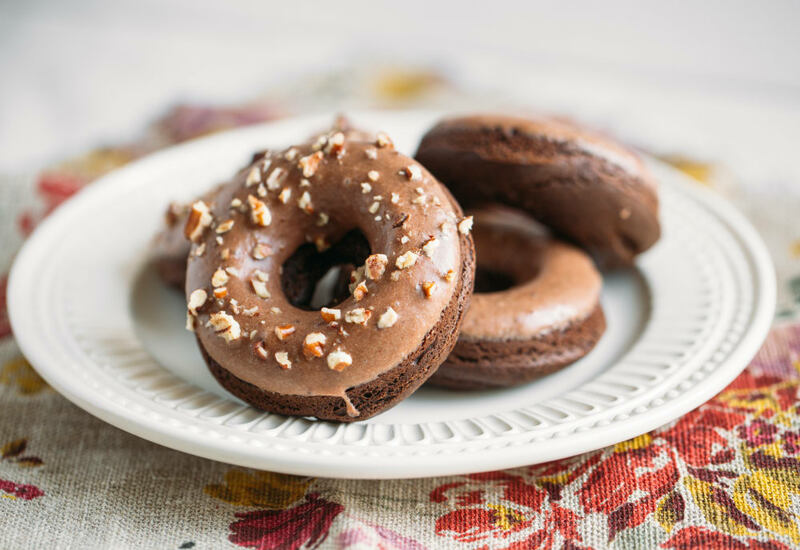 Have no fear, these delicious gluten-free chocolate cake donuts will satisfy those cravings and give you your chocolate fix! Made with yogurt for an extra tang, these donuts hit all the right notes. Serve these for breakfast, a snack, or an indulgent dessert and your guests will praise your name for years to come! Don't have a donut baking pan? No problem -- use a muffin pan instead! Gluten-free and dairy-free? We've got you covered: sub out the milk and yogurt for dairy-free versions. To pipe batter without a piping bag, fold down the top of a gallon-size resealable bag. Pour batter into zipper bag, remove excess air from bag, and seal. Cut about ⅛-inch triangle off a corner of the bag. Pipe batter into donut pan until each donut is about two-thirds full. Per Serving: 309 calories; 12g fat; 47.7g carbohydrates; 5g protein; 32mg cholesterol; 122mg sodium.